Manchester is a city that encourages creativity, innovation and entrepreneurship. Tower Lifts is proud to have been part of its continued growth over the past 15 years, by providing lift installations for offices, homes, hotels, shopping, heritage and leisure. We consistently match our state-of-the-art technology to Manchester’s aspiration to be one of the UK’s best places to live and work. Feedback from our clients tells us that passengers using our lifts value the sleek contemporary design, and the high quality performance offering a smooth, fast journey, but most important to them is reliability and performance sustainability. For this reason Tower Lifts provides a range of services to ensure that your lift installation is kept at peak performance, safety and reliability, year after year. Lift Repair – if you have a lift that provides access for work, shopping, or essential services, your passengers will be dependent on a reliable form of transport. If your lift should break down Tower Lifts offers a dedicated lift repair service. We are available 24/7 and we aim to minimise the disruption to your business by providing an instant repair if at all possible. Lift Modernisation – this is a cost-effective way to manage older lift installations which continue to function but would benefit from updates to improve performance. Lift modernisation minimises disruption to service for passengers, whilst providing essential upgrades to the electrification system, cabin décor, hoisting machinery, and doors. This service integrates health and safety updates. Lift Servicing – problems with lifts usually come down to one or two common failures. Lift servicing offers a quick and simple way to improve the overall performance and efficiency of your lift. Lift servicing focuses on the lift door operator, the lighting system, and signalisation. A lift service aims to make your lift more energy efficient and improve the quality of your passengers’ experience. To learn more about our products and services or to arrange an obligation-free consultation, get in touch with a member of the Tower Lifts team today. 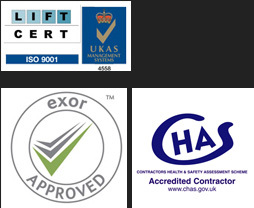 As a major lift provider in the city for the past two decades, we have learnt that no two clients have the same needs when it comes to ongoing lift maintenance, Manchester. That’s why we now offer tailored service and maintenance packages, comprising the options that are relevant to your needs. Our maintenance packages are designed to be flexible, and meet our clients’ needs. Bespoke Maintenance Plan – Select the services to match your specific needs. Detailed Assessment – We start by carrying out a thorough assessment of your lift, the operating environment, and the passenger profile. Ongoing Care – highly skilled and experienced maintenance engineers will ensure that your lift is working at optimum performance. Scheduled Upgrade – if work is needed to upgrade components or systems, our engineers will schedule this in to ensure minimum disruption to business. Working with Tower Lifts provides much more than an annual service. We are committed to the ongoing excellence of your lift service. Our lift engineers will keep you informed of recommended upgrades, talk through the planning and budgeting of the work, and schedule accordingly. We guarantee the minimisation of breakdowns, and sustainable performance for your passengers.